Just checking some fuses and spotted I had the tire pressure gizmo which I never knew (unobservant or what) and a white round 9 pin cable lying in the footwell. It looks like the old cd multi changer socket. Anyone any ideas/ is it for the Smartire? Can you snap a picture for us? That's not for the tire pressure monitoring system. Looks like something for an aftermarket audio system accessory. 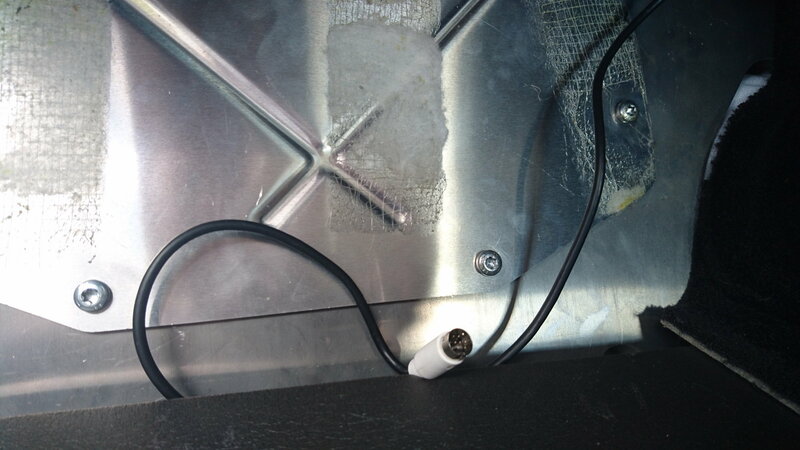 My Dension Gateway 500 has a cable like that for its iPod interface. I installed mine myself. Not too difficult. Scariest part is removing the interior panels and moving the CD changer enough to access the connections. With the cable not anchored to the chassis I'd also say some sort or audio device with that type of DIN connector. Don't think it's the optional ejector seat. See you're in Cheltenham not far from my mom's place in Upton Upon Severn. Nice area for driving. Looks aftermarket to me. Don't really see free wires like that around the car. +1 Pull it out and see what's on the other side.